Bring a large pot of salted water to a boil and cook the pasta according to packaging direction to “Al Dente”. Reserve 3/4 cup of the cooking water and drain the pasta. Meanwhile melt two tablespoons of butter in a large skillet over medium heat. Add the pepper and cook, swirling the pan until the butter melts. Place half of the reserved pasta water to skillet and bring to simmer. Bucatini Cacio e Pepe. 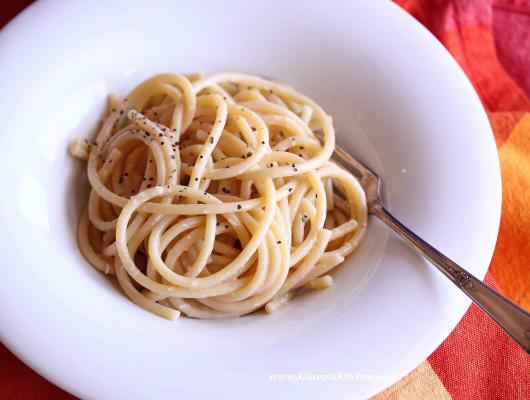 Reminiscing of our last summer vacation in Italy, here is an extremely quick and yet absolutely delicious recipe for Cacio e Pepe. I have been craving it. 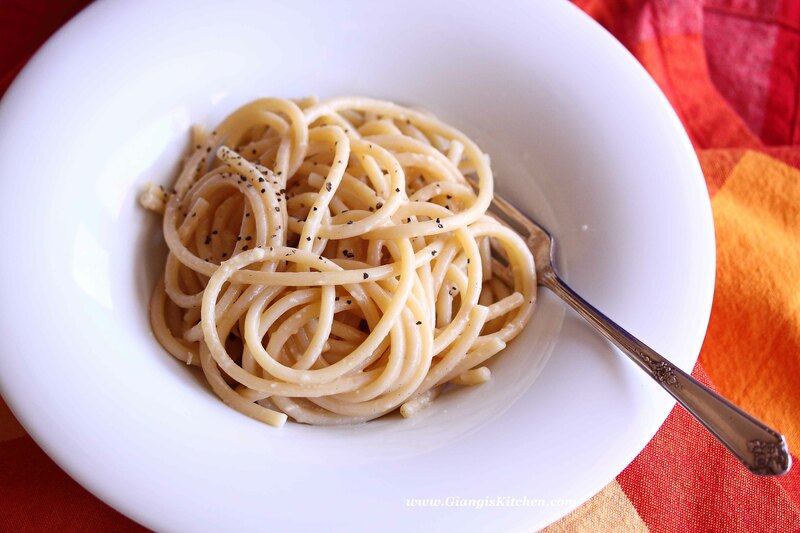 This regional dish from Rome, “Cacio e Pepe” means “Cheese and Pepper”. As the name suggest the ingredients of this dish are very simple and include only black pepper, Pecorino cheese, and of course pasta. To keep the pasta moist the cooking water, which adhere to the cheese and past, allows it to remain moist. Spaghetti or any long pasta are recommended for this dish.